Let's talk about messy buns, okay? I am sporting messy buns lately because they are fast to twist up, and let's face it, they are adorable! I am also channeling my inner "lazy girl." I am not, by all means, saying that I am lazy, but a 'lax hair style makes me feel relaxed. There are a few messy buns that I favor more than others, so I am sharing those with you all today. 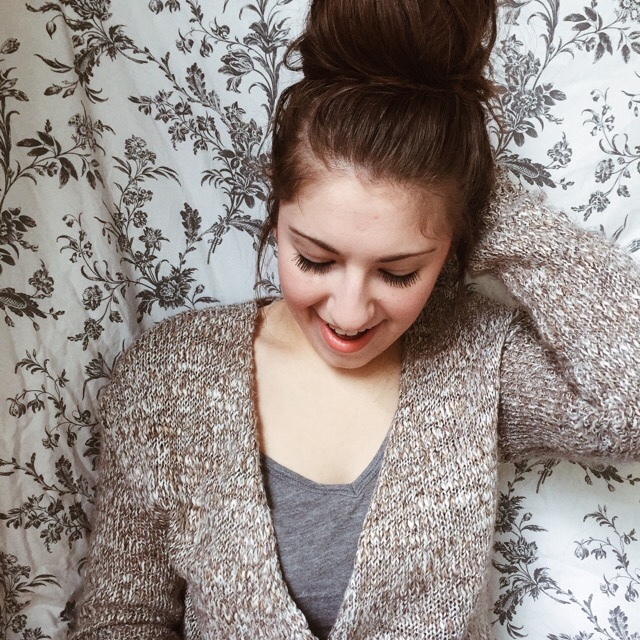 Messy buns are super stylish, and super easy to do. I love doing them for work, and I love them for trips, hanging around the house, cleaning the house, or even quick errands. There can be a different messy bun for every occasion. I have even started wearing a messy bun to bed! 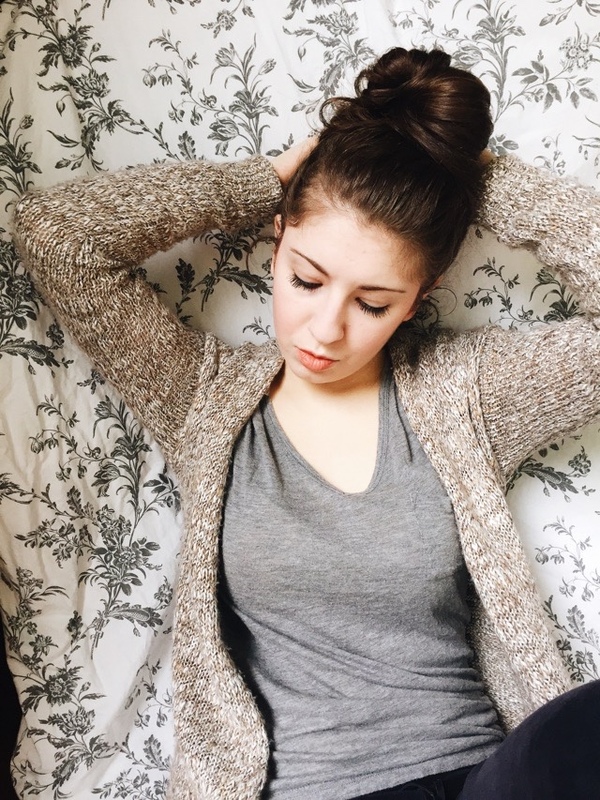 There are actually important benefits to wearing your hair up in messy buns, whether it is during the day, or for sleep. 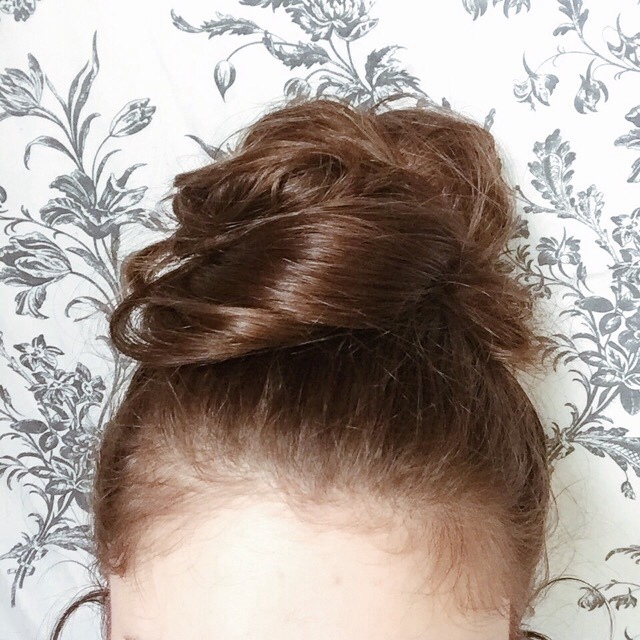 I wear my hair in a messy bun for bed because it keeps my hair from tangling, and it actually makes it softer and easier to manage for the morning. It makes for quick and easy styling, and if I sleep in a messy bun with slighty damp hair, I wake up with pretty bun curls. Messy buns are just awesome all around! 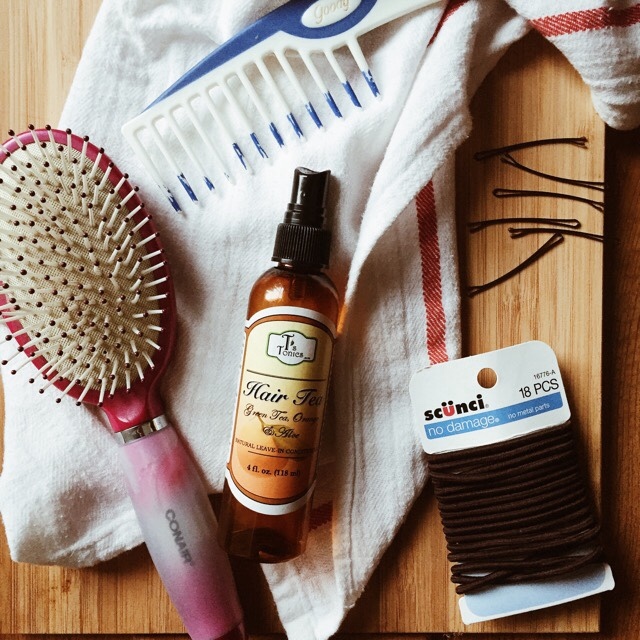 I have a few favorite styling tools that make managing my locks a little easier, because I have a lot of hair! I love using a few spritzes of T's Tonics Hair Tea on my tresses every morning. It makes my hair incredibly soft, and it makes my hair look, feel, and be healthy, and shiny! It also smells so good, and it's all-natural! Usually, hair products are filled with harmful chemicals, but none of T's Tonics products contain harsh chemicals! They are all-natural, and I love how the Hair Tea works! One of my favorite fast buns is the top knot. 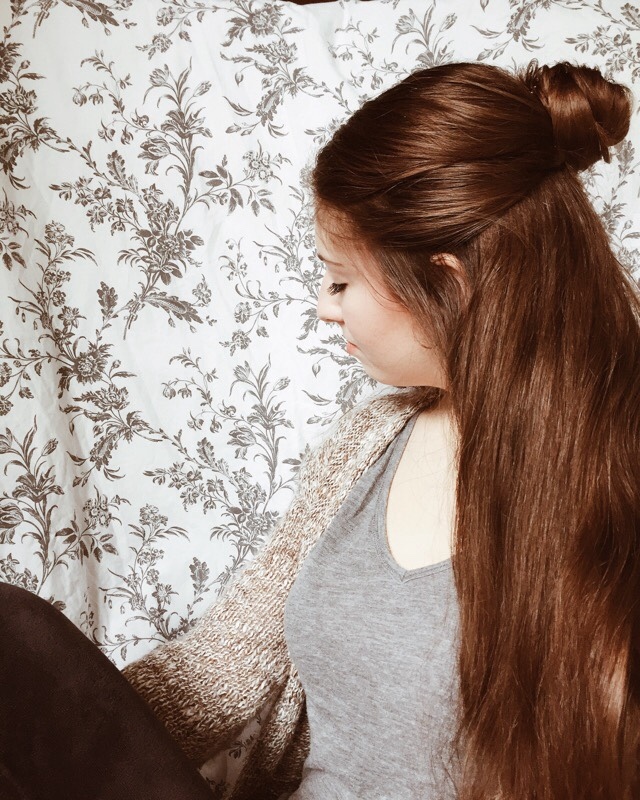 It is easy to style, and if you tie the hair tie just right, you can use just one Scünci hair tie to secure the bun! 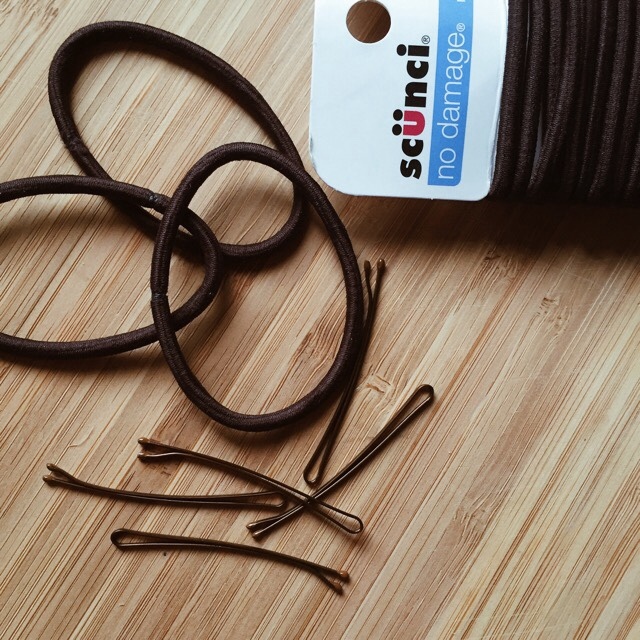 Usually, with my hair, I need two regular hair ties, but not with Scünci! Scünci holds it! 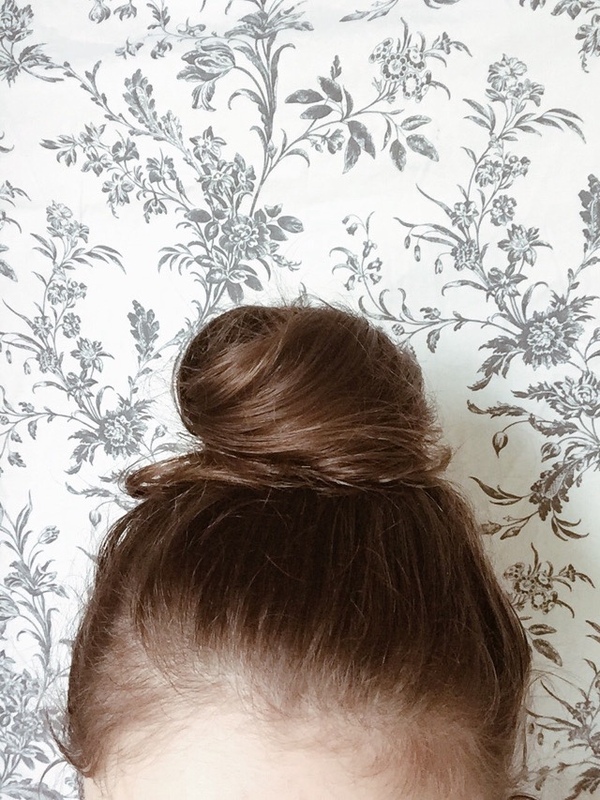 Messy buns are fun with a little face framing. I like to pull little pieces of hair from the sides of the pulled up hair and have them frame my face. It looks cute! So easy to do too! I did this bun with Scünci hair ties and a few Bobby pins. It is a huge bun, I had to cut it off a bit. My hair is piled on my head, using one Scünci hair tie, and about 6 bobby pins. 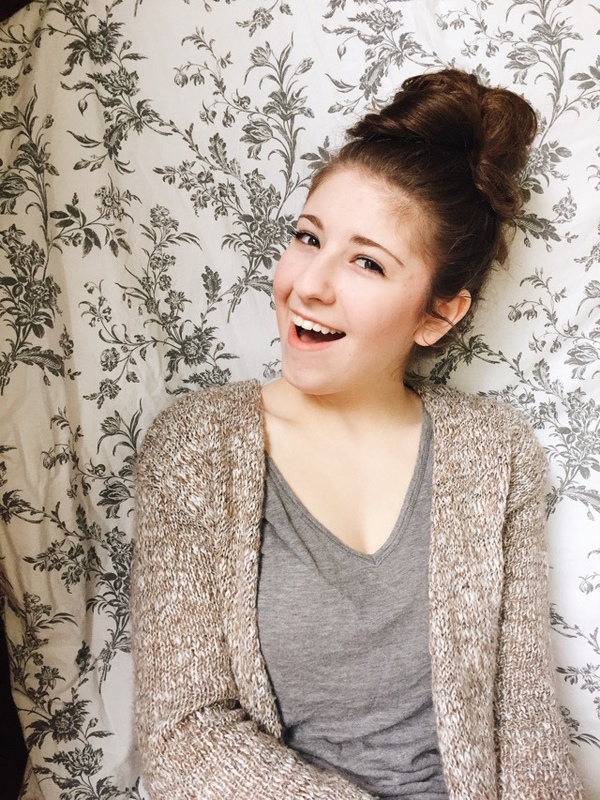 I love doing this messy bun for work because it gives my hair texture, and it makes it fun! All I do is pull my hair up into a high pony tail, and twist it on my head once, then pile my hair on top of my head. I secure it with the bobby pins, and the hair tie, and it holds all day! It's adorable, and so cute. I have used a lot of different hair tie brands, and Scünci is the best! I am also super pleased with the curved Bobby pins from Connair! They hold better and are easier to put in than the straight bobby pins. They are definitely my favorite hair accessory! I used four bobby pins with this mini half-up messy bun. I keep seeing these half-up mini messy buns on Pinterest, and thought I would participate in the trend. They are really cute, and super easy. 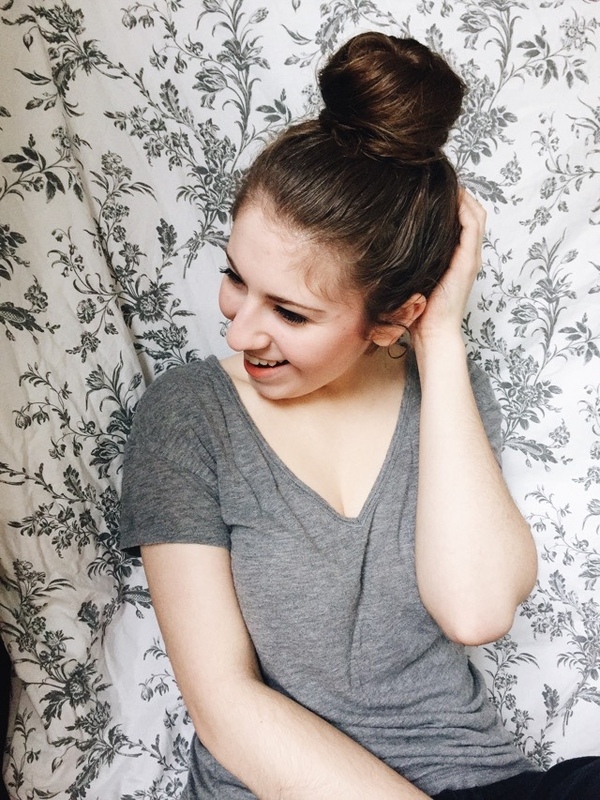 I love that messy buns exist, and that they are cute in this day in age because with the busy lifestyles we all lead, messy buns, messy pony tails, and sometimes messy hair is just quick, and easy, but still makes you look stylish! I have even had to twist up a few messy buns during red lights on my way to class a few times. I always end up looking awesome. What are your favorite, quick and easy hairstyles?